Note that this is only a top up scholarship and you need to have a PhD scholarship (APA or other) – but such a fantastic project and group of supervisors…. A PhD top-up scholarship is offered at CSIRO with co-supervision from the Institute of Marine and Antarctic Studies of UTAS. The Southern Ocean is essential to the control of atmospheric CO2 levels. It is the largest region of the global ocean with excess nutrients available to enable CO2 transfer to the ocean interior via the biological pump, and is responsible for for 40% of the annual global oceanic uptake of anthropogenic CO2 owing to rapid physical transfer processes. There are currently critical gaps of knowledge on how changes in Southern Ocean physical oceanography under forecasted global change scenarios might change the CO2 uptake and the biological pump in the Southern Ocean. Importantly, different water masses of the Southern Ocean harbour different microbial communities, and thus responses are likely to vary regionally. It is not understood which key environmental parameters control these variations in the microbial communities. There is also little understanding on how the environmental services of the different microbial communities differ. 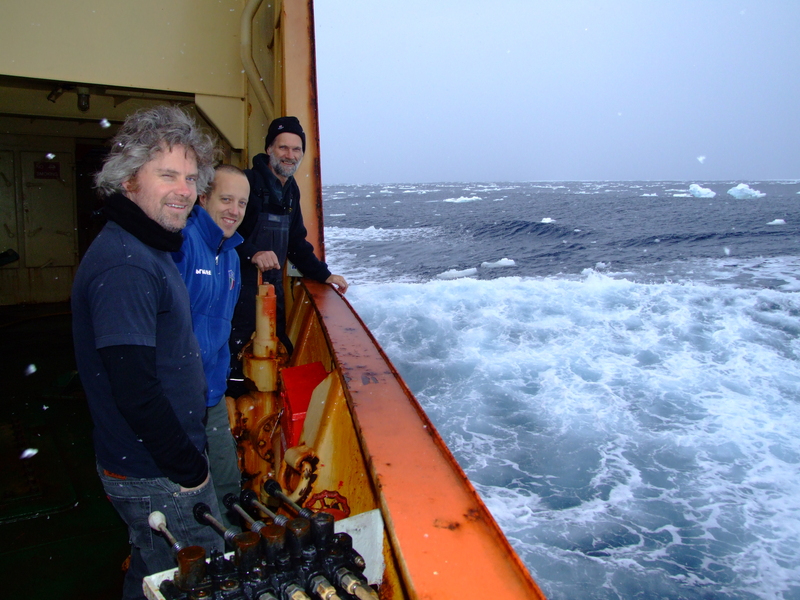 The project will A) investigate the microbial community composition of the different water masses of the Southern Ocean, B) align them with physicochemical and satellite observations and C) look for potential triggers for shifts in the microbial community. These potential triggers will then be followed up and tested by in situ manipulations. The project will also investigate the functional potential of Southern Ocean microbial communities across different water masses. The successful candidate will learn and work with cutting edge molecular methods for environmental microbiology (16S tag sequencing, functional gene microarrays, qPCR and related informatics tools); carry out microcosm manipulations; and participate on Southern Ocean cruise(s). Lauren Messer has a new paper on the way out describing the microbial goings on in the Spencer Gulf. As part of the Australia’s Microbiome Project with the Seymour Lab at UTS, we sampled from the Spencer Gulf region in South Australia. This place has very interesting geophyscial properties. Its described as an “inverse estuary” where salinity is lower at the mouth than the origin, and the temperate waters can oligotrophic. Somewhat unusually for this latitude, nitrogen fixation is believed to play an important role in the productivity of this system, possibly based upon the unusually high abundance of UCYN-A Candidatus Atelocyanobacterium thalassa we observed here.